I've read several Gordon D. Shirreffs westerns and enjoyed them all. 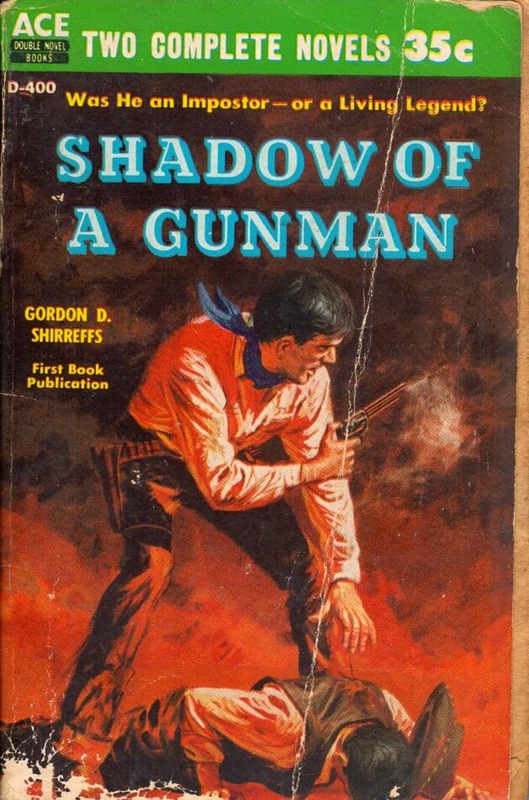 When I was a young teen reading westerns, I use to get Gordon Shirreffs and Glendon Swarthout mixed up. As I got older and smarter I realized the Gold Medal and ACE books that I had were Shirreffs. (and much different than the Swarthout westerns) I like both authors novels a lot. This is one of the few Shirreffs' paperbacks I have not read. My favorite western writer of the period. His pulp stories are often even more violent than his paperback novels.